Girls behave badly. If they're not obscenity-shouting, pint-swigging ladettes, they're narcissistic, living dolls floating around in a cloud of self-obsession, far too busy twerking to care. And this is news. 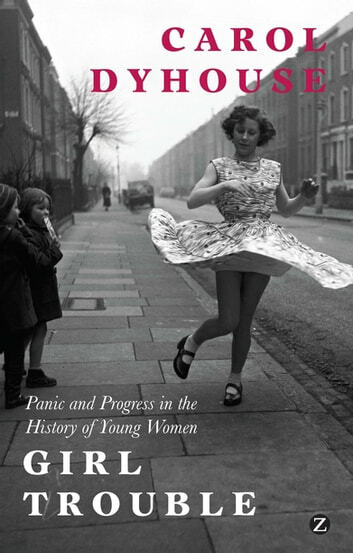 In this witty and wonderful book, Carol Dyhouse shows that where there's a social scandal or a wave of moral outrage, you can bet a girl is to blame. Whether it be stories of 'brazen flappers' staying out and up all night in the 1920s, inappropriate places for Mars bars in the 1960s or Courtney Love's mere existence in the 1990s, bad girls have been a mass-media staple for more than a century. And yet, despite the continued obsession with their perceived faults and blatant disobedience, girls are infinitely better off today than they were a century ago. This is the story of the challenges and opportunities faced by young women growing up in the swirl of the twentieth century, and the pop-hysteria that continues to accompany their progress.